2. 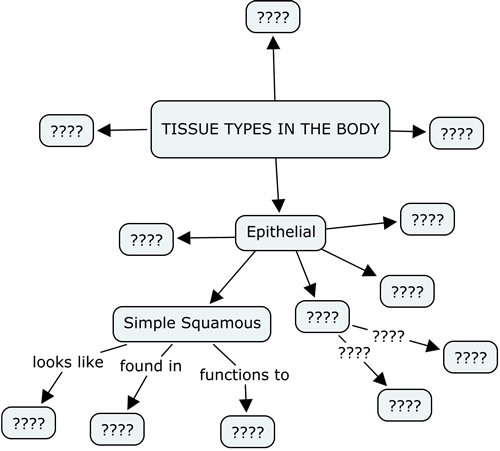 Draw 4 arrows connecting to the four types of tissues found in the body. This image might help get you started. You will need to copy this onto your own paper (unlined) and complete it.